Maharashtra National Law University, Mumbai is a national law university established in the year 2014. It is located in Mumbai, Maharashtra. The Maharashtra National Law University Act 2014, passed Maharashtra Legislature under the Maharashtra Act No VI of 2014. It is the 18th National Law University established in India. In its initial state, MNLU shared its campus with Tata Institute with Social Sciences. MNLU offers a five-year integrated B.A LL.B.(Hons.) course. MNLU Mumbai also offers a one year LL. M. course in Corporate and Commercial Laws. The admissions are done through the Common Law Admission Test. MNLU offers 5-year integrated B.A. LL.B (Hons.) programme as an undergraduate programme. The student who has scored the minimum cut-off of CLAT examination is eligible for the programme. The total intake of students in this programme is 50. The University offers one year integrated LL.M course in Corporate and Commercial Laws. 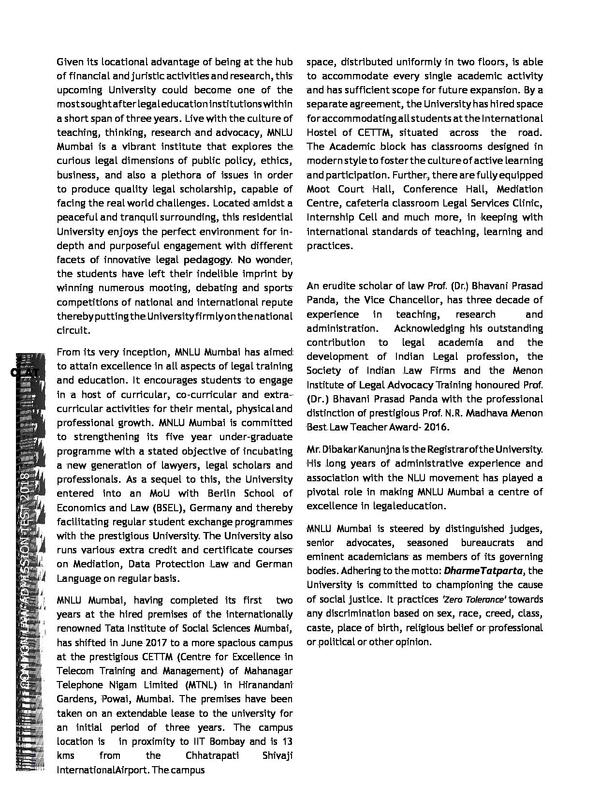 MNLU Mumbai admits students to B.A., LL.B (Hons.) and LL.M (Corporate and Commercial Programme through the Common Law Admission Test-2018. The total intake of students in this programme is 20. 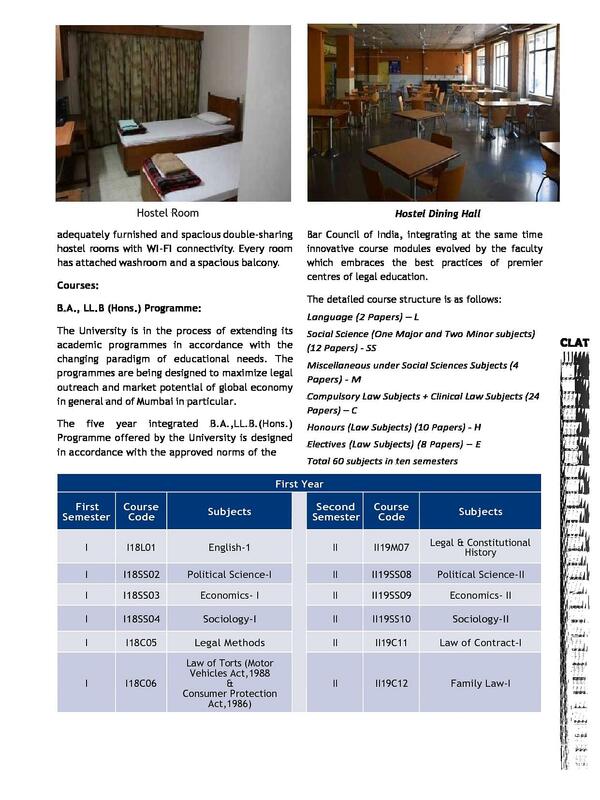 The admission in both the programmes is taken through CLAT examination. Students seeking admission in any of the two programmes should appear in CLAT examination. Every year a merit list is generated on the basis of which, students are selected for the programme. MNLU is fully equipped with the facilities needed by law students like Moot Court Hall, Conference Hall, Mediation Centre, cafeteria classroom Legal Services Clinic, Internship Cell. MNLU has all the faculties with higher knowledge. 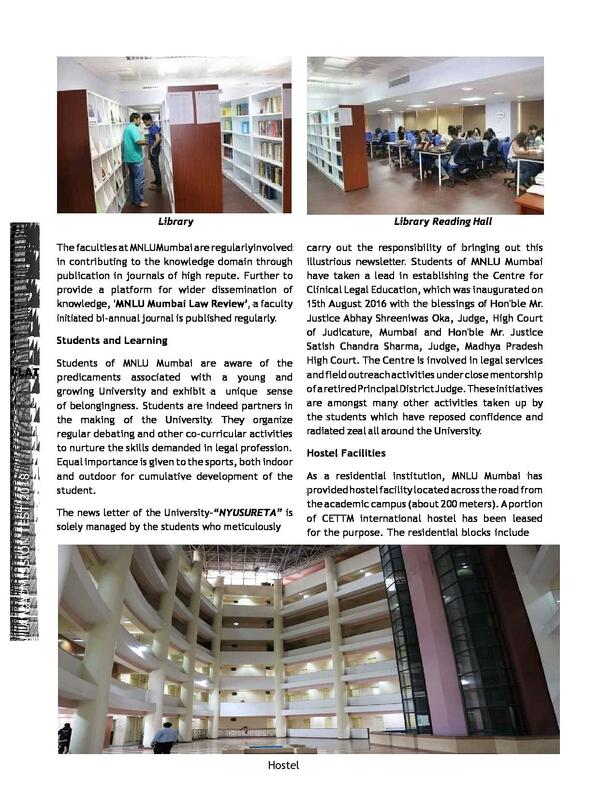 MNLU Mumbai has aimed to attain excellence in all aspects of an education. It encourages students to engage in a host of curricular, co-curricular and extra-curricular activities for their mental, physical professional growth. Hi M Uma, This university does not provide this course.